Why call my blog ‘Peripatetic Musings’? peripatetic: adjective – travelling from place to place, nomadic, itinerant, wandering, roving, roaming, ambulatory, unsettled, vagrant, vagabond. ORIGIN: late Middle English (denoting an Aristotelian philosopher): from Old French peripatetique, via Latin from Greek peripatētikos ‘walking up and down.’ Clearly the word has wandered a long way too! Uncles… what would we do without them? I dedicate this collection of musings to a literary uncle of sorts… Kenko (1283-1350), a Buddhist monk and poet of Kyoto, who wrote a book entitled Tsurezuregusa – published in English translation as Essays in Idleness. I first read it back in the 1980’s when living in Japan and was very taken with his simple format of short essays on whatever took his fancy. It was the 14th century equivalent of a blog. 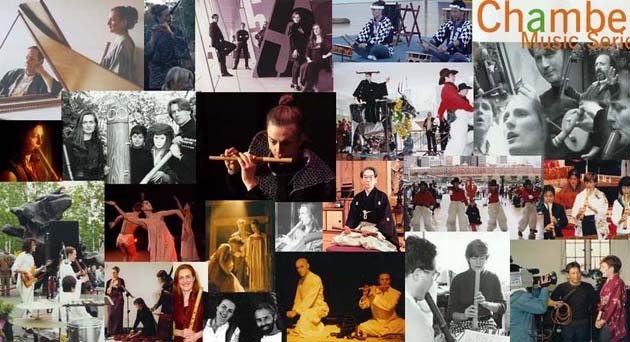 Anne Norman is a touring musician, shakuhachi performer, story-teller, poet and tea raconteur. She has also authored a book entitled Curiosi-tea.